Finding himself alone in a posh New York City hotel room for the night, Aidan does what any red-blooded seventeen-year-old would do--tries to hook up with someone new. But that lapse in judgement leads him to a room with a dead guy and a mysterious flash drive...two things that spark an epic case of mistaken identity that puts Aidan on the run--from the authorities, his friends, his family, the people who are out to kill him--and especially from his own troubled past. Derek Milman has worked as a playwright, screenwriter, film school teacher, DJ, and underground humor magazine publisher. A classically trained actor, he has performed on stages across the country and appeared in numerous TV shows, commercials, and films. Derek currently resides in Brooklyn, New York, where he writes full time. 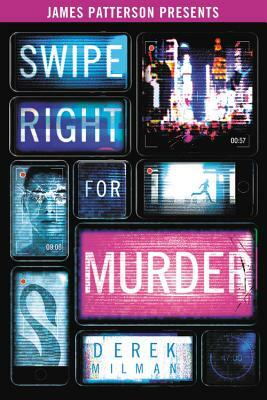 Swipe Right for Murder is his second novel for young adults.